5,000 tsubo (=16,500m²) “Chisen-Kaiyushiki Sansui-en” and a grass field. Kyoto was voted as the world’s best city for the second time in a row by Travel + Leisure, and we saw many foreign tourists on this day. A wedding ceremony at the world heritage Nijo Castle which Kyoto boasts! 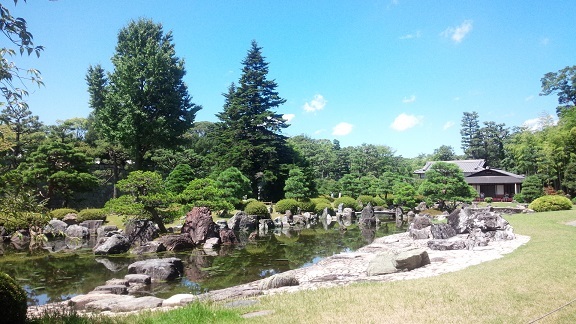 We plan next wedding consultancy meeting at Nijo Castle around end of August. Please come and visit us if you are interested!